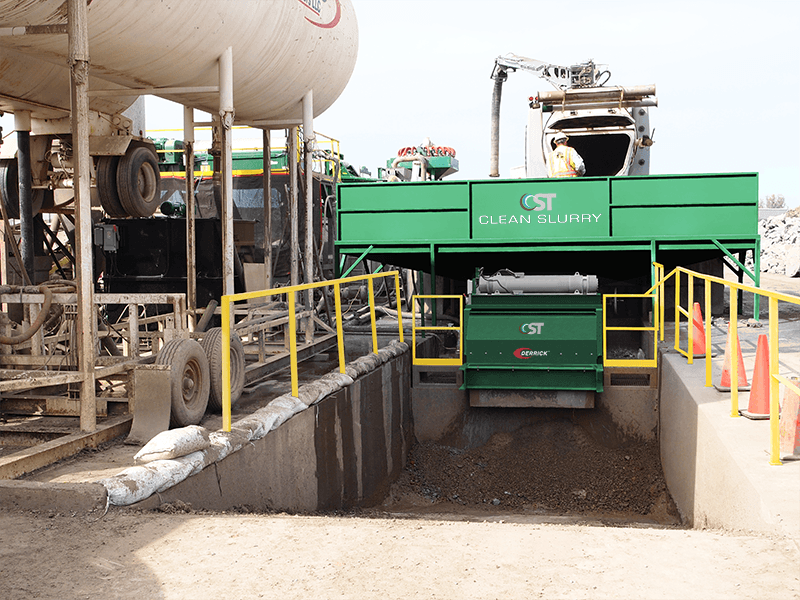 Clean Slurry provides turnkeys solids separation plants for hydro excavation spoils. Treatment plants are designed specific to each customer to occupy a minimal footprint and take full advantage of existing infrastructure. Clean Slurry designs, builds, installs, and supports systems that realize maximum efficiency, high capacity, and cost effective production. Hydro excavation firms operate in a tough market segment. Not only do they compete with other hydro excavation firms and other excavation methods, they often compete on disposal costs. Slurry handling facilities considering other solids separation processes, may experience inadequately dry solids and effluent liquids that are too dirty to easily dispose of. Clean Slurry’s vast experience with solids separation has been employed to create highly efficient solutions to the challenges of hydro excavation waste disposal. © Clean Slurry Technology, Inc.